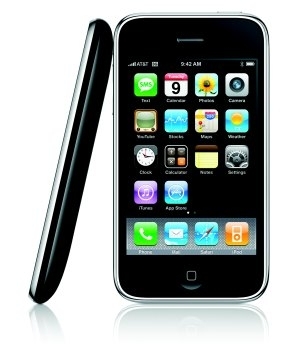 iPhone behind Motorola RAZR and others in mobile web use | BlackBerry Blast! The Motorola RAZR is outselling the iPhone and according to AdMob, more people use the RAZR to access the mobile web. AdMob publishes a monthly report of the ad impressions it gets from each handset across the 5,000-plus sites it serves. They say the RAZR is requesting most of the impressions on the mobile web. "The Motorola RAZR V3, KRZR Kc1, W386, and Z6m, and the BlackBerry Pearl and the Palm Centro all beat out the iPhone in terms of the number of ads requested and the number of ads viewed on the mobile Web. Just so you have the hard facts, the RAZR has 8.7% of the mobile surfers, and the iPhone has 3.2% of the mobile surfers." Could it be that more iPhone users are looking at regular web pages instead of mobile versions of web pages?